TWO PEOPLE ARE in a serious condition in hospital after a collision between a car and a lorry. The crash took shortly after 10am this morning in Donegal, on a section of the R246 at Tirhomin between Milford and Kerrykeel. 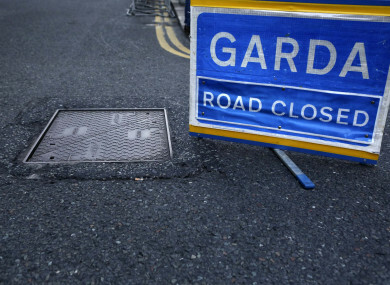 The occupants of the car – a man aged in his 30s and a woman in her 20s – were seriously injured and taken by ambulance to Letterkenny General Hospital. A forensic examination of the crash site has been carried out. Gardaí ask anyone with information to contact Milford Garda Station on 074 915 3060 or the Garda Confidential Line on 1800 666 111. Email “Man and woman seriously injured in Donegal crash”. Feedback on “Man and woman seriously injured in Donegal crash”.